"When they come to understand that military power is just another propaganda technique, hybrid aggression may lose its ground." 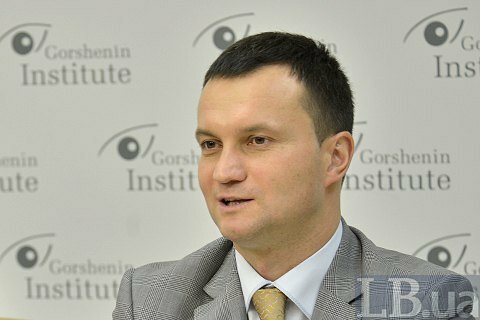 Western countries will eventually find methods to deal with hybrid war waged by Russia, the Vice-President of Gorshenin Institute Oleksiy Leshchenko told a roundtable conference in Gorshenin Institute on 27 October. "Many western experts who studied the hybrid methods that Russia employs in its aggression, believed it was based on intimidation by military power and nuclear potential of the RF. When they come to realize that military power and preparedness to use nuclear weapons are nothing but propaganda techniques, the entire hybrid aggression may lose its foundation," he said. Leshchenko said that Russian propaganda implies two important points. "Firstly, Russia leads very differentiated campaigns for different target groups. They broadcast one bunch of messages for their own citizens, the undecided Russian speakers in nearby countries get other messages, while campaigns they wage in the western world are based on a totally different set of messages," the political scientist said. "Secondly, Russia leads its information aggression, using the Western democratic institutions via free media. The US cannot shut the Russia Today channel, because RT is protected by the first amendment to the Constitution and RT presents an alternative viewpoint." However, Russia will sooner or later exhaust opportunities to abuse democratic institutions of the west, the expert stressed. "Democracy is more competitive than dictatorship, and in the medium and long terms, democracy is sure to find methods of how to fight the hybrid war," he said.